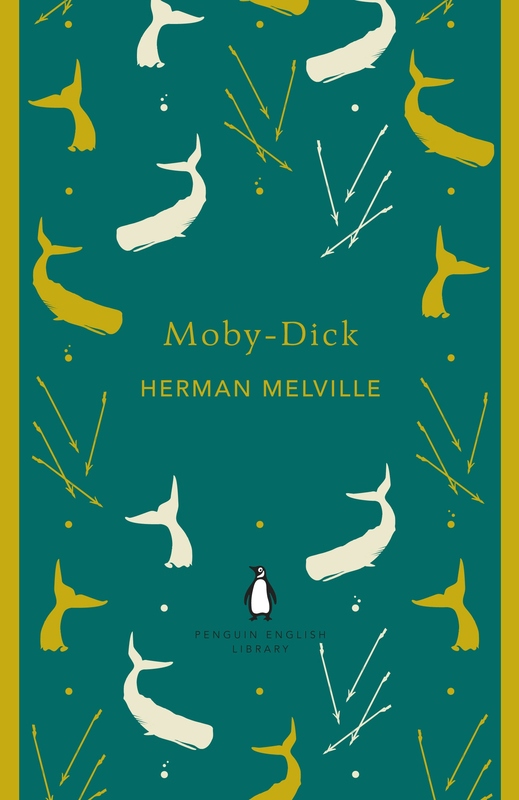 This post is part of a series of posts in which students of the English Seminar present their favourite books they have read in 2014. The lists are not restricted to books that were published this year. If you want to participate as well, send your list to zest.editor@gmail.com. These are my 10 favourite books out of the 74 I read this year. Each of them became a favourite for a different reason, and often it was difficult, in hindsight now, to capture in few words why I liked them so much. But I still wanted to write this list because I love books and I love talking about them and I love the thought that maybe someone will pick one of these up and love it even more. 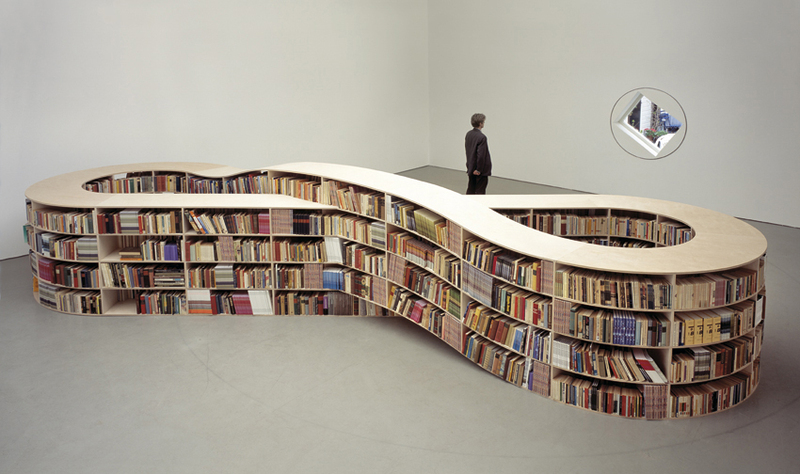 It would be great if I achieved to make you, dear reader, interested in even just one of them. All of them, of course, are brilliant and beautiful in my opinion and deserve to be read and loved by as many readers as possible. First sentence: The Story of Zenia ought to begin when Zenia began. This book was a lot of fun to read. Jane Austen herself described her heroine as a character “whom no one but myself will much like”, and I feel that this judgement can be observed as a central theme throughout the book. 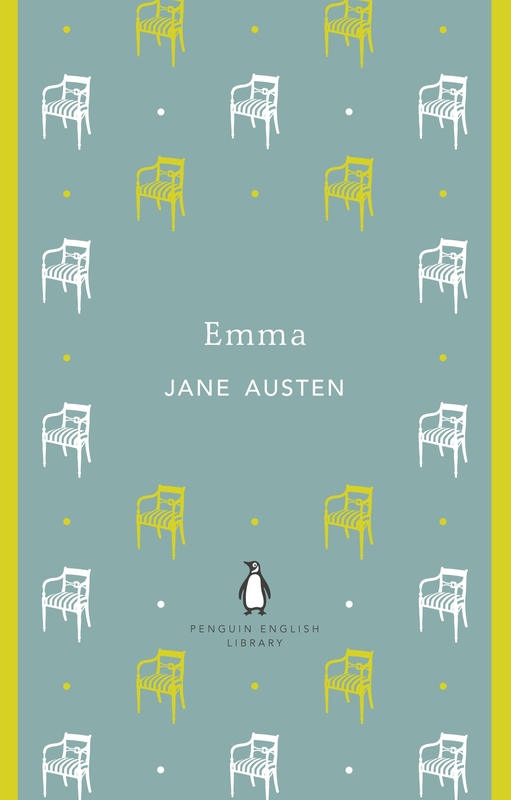 Emma achieves to maintain the fine balance between showing its heroine’s flaws and mistakes while still staying benevolent in its depiction and presenting and judging her with the subtle humour of a writer who loves her creation. Thus, I as a reader couldn’t help but like this naïve and spoilt but always well-meaning young lady as well and care for the outcome of her story (even though this outcome should not be surprising to anyone who has ever read a Jane Austen novel before). 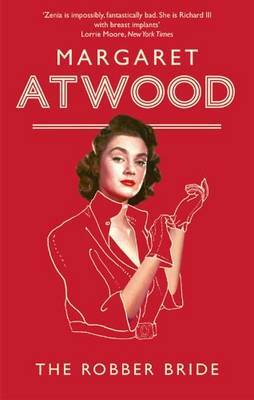 The book lives on the observations of its writer, its wit and the vivid depiction of the world inside and around of its main character, all of which made it a fun and interesting read and my favourite of Jane Austen’s books I have read so far. This Man Booker Prize winner of 2013 is 832 pages long which made me hesitant to pick it up at first. Even though I was convinced that a book focusing on mysterious crimes around gold mines in 19th century New Zealand had to be interesting, I worried about its physical heaviness which made it complicated to carry around and read in the park (it was a summer read for me), about the fact that a whole page in the beginning of the book is dedicated to the main characters’ names – which so far I had only encountered in epic fantasy fiction and which promised more names than I thought myself capable of keeping in mind – and the countless perspectives from which the story is told. However, while I still ended up being confused for about 100 pages due to the sheer mass of names and information, once I got past that stage, The Luminaries turned out to be a gripping read which impressed me with its scope and ambition. So if you have thought about reading this book before and felt similarly intimidated, definitely give it a try. 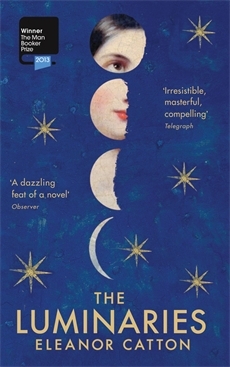 It is indeed, as the blurb on the back promises, “as complex and exquisitely patterned as the night sky”. First sentence: Last night I dreamt I went to Manderley again. 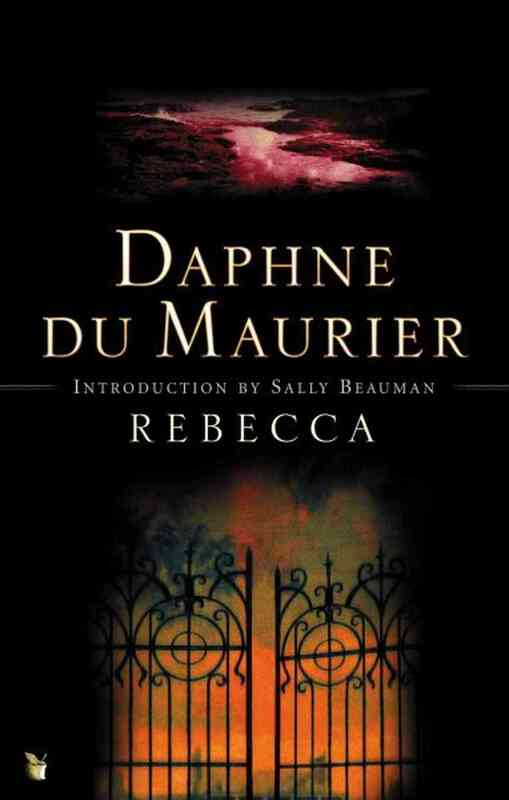 This book has been compared to Jane Eyre before, and I’m going to do that again. If you enjoyed the story of orphaned Jane, you will definitely find this book interesting, not least because of its many parallels. 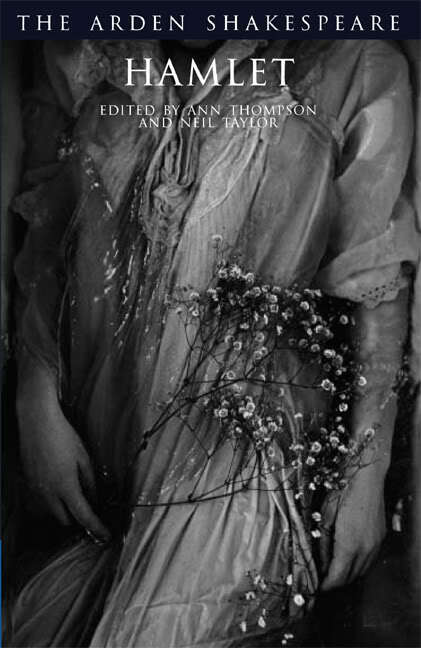 Let me illustrate this point with a few examples: It features an orphaned narrator, beautiful descriptions of the English landscape, a mysterious stranger the narrator falls in love with, an eerie mansion and the haunting presence of another woman within its walls. It says a lot about this book and its atmosphere that the person it is named after never actually appears and only haunts our unnamed narrator through her lingering memory. Rebecca has a thrilling mystery plot, psychologically interesting characters, beautiful descriptions of the English seaside and probably one of the meanest housekeepers in literary history. First sentence: A squat grey building of thirty-four stories. Over the main entrance the words, CENTRAL LONDON HATCHERY AND CONDITIONING CENTRE, and, in a shield, the World State’s motto, COMMMUNITY, IDENTITY, STABILITY. While I like dystopian fiction very much and enjoy reading the newer releases as well as the older classics of the genre, there is one trope that often irritates me: many of these dystopian novels depict characters who – provoked by the smallest incident – are ready for revolution and a singlehanded overturn of the current regime. While this might serve the construction of an interesting plot, I always wonder why I’ve never come across a book that depicts an ordinary, everyday character – someone like me, who would drink tea and lazily stare out of the window while someone else makes the order of the world collapse. 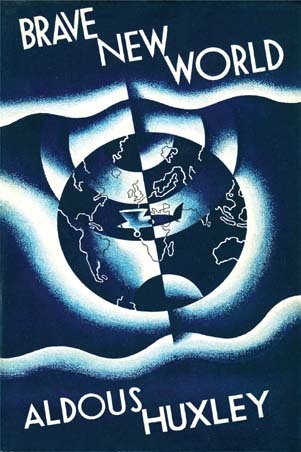 Luckily, Brave New World does not depict a literary version of myself or it would have been a boring read. However, its protagonist, Bernard Marx, is a refreshingly egotistic character, who might have his doubts about the system around him but is much more unhappy about his own role within it and tries to change things for his own personal benefit. This makes Brave New World less of an inspiring read about the power of an individual to change the world but a rather depressing take on the power of society to crush a dissenter. Nevertheless, I enjoyed this book a lot and would recommend it to anyone who hasn’t already read it. First sentence: The play – for which Briony had designed the posters, programmes and tickets, constructed the sales booth out of a folding screen tipped on its side, and lined the collection box in red crêpe paper – was written by her in two-day tempest of composition, causing her to miss a breakfast and a lunch. 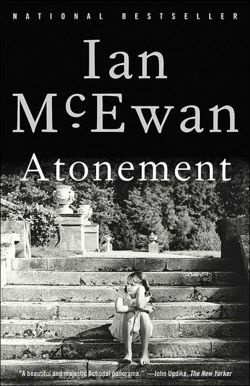 Ian McEwan and I have a complicated history. I had to read Saturday for a seminar and I really, really disliked it. Most of all because of its characters: it features a brilliant and wealthy doctor who is the father of not only one child prodigy but two – both of them accomplished in their creative careers before the age of twenty – and the husband of a beautiful and equally successful wife. Since then, it has become almost a hobby of mine to read the blurbs on the backs of his new books which always describe its beautiful and extremely talented protagonists. (Examples? Solar is about a “Nobel-prize winning physicist” and Amsterdam introduces us to “Britain’s most successful modern composer”. It’s fun, you should try it!) However, despite my reluctance to pick up another book by McEwan, I was surprised how much I enjoyed this one and I’m very glad I did. It is beautifully written and portrays – most importantly – believable characters with believable feelings and problems, a gripping plot and many vividly described and touching scenes that will stay in your thoughts. And while still wondering about McEwans possible inferiority complex, I’m now definitively planning to read more of his works in the future. First sentence: Call me Ishmael. I went into this play without any previous knowledge about its plot despite the fact that it is set during the 1692 Salem witch trials. This might be the reason why it captivated me so much: even though the outcome of these trials is generally known, the characters with their different involvement in the process brought it to life and made me emotionally invested on a level that surprised me. 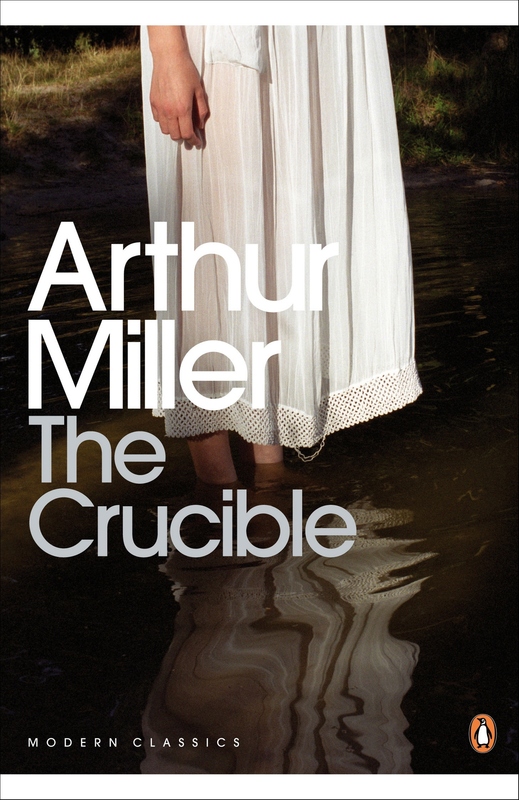 It terrifically shows the extension of mass hysteria in powerful scenes, acted out by characters whose personalities will haunt you long after you have finished reading this excellent play. First sentence: If you are interested in stories with happy endings, you would be better off reading some other book. I love children’s literature. Or more precisely: I love clever children’s literature that doesn’t underestimate its young audience and doesn’t shy away from details or depth that might only be understood or appreciated by older readers. These things can definitely be said about this series of thirteen books: although it is directed at a younger audience, I was surprised at how dark and eerie this literary world is, how present violence, sadness, and death are throughout the stories, and about the details that children will probably not notice but I myself found very funny and which added a whole new level to the story. 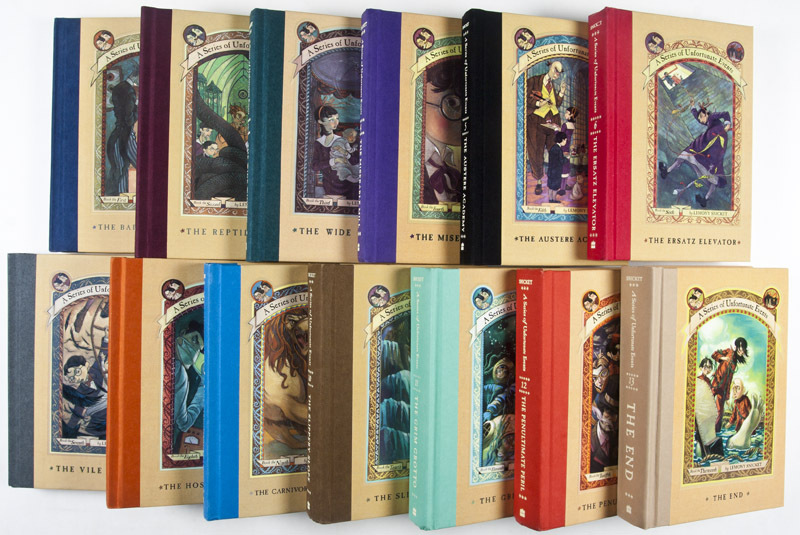 These books achieve the balance between being interesting and fun for young readers while at the same time being extremely pleasurable reads for adults, full of intertextuality, humour, and a plotline that spans thirteen books and gets darker and darker along the way.